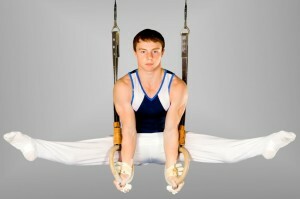 The Level 1 class is an entry level gymnastics class for ages 6 and older. Students will learn to stretch and condition their muscles, as well as all the appropriate basics for gymnastics on all four events, bars, vault, beam & floor exercise, including trampoline and the air track. The Level 2 class is the next level for the gymnast. In this class they will learn more difficulty with different variations of their basics as well as more inverted skills. The Level 3 Class increases the difficulty even more. They will be learning the next step towards competitive gymnastics with much more difficult routines as well as tumbling skills. The Pre-Team class prepares the student for competition on our competitive team. The athlete must be accepted into this class by the head coach. 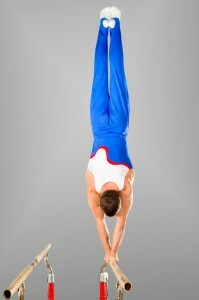 This is an entry level class for ages 6 and older where boys will learn to strengthen and condition their muscles to perform all 6 events in boys gymnastics: High Bar, Parallel Bars, Pommel Horse, Vault, Floor, and Mushroom. Not only will this be a great class to gain physical strength but mental strength and discipline as well.